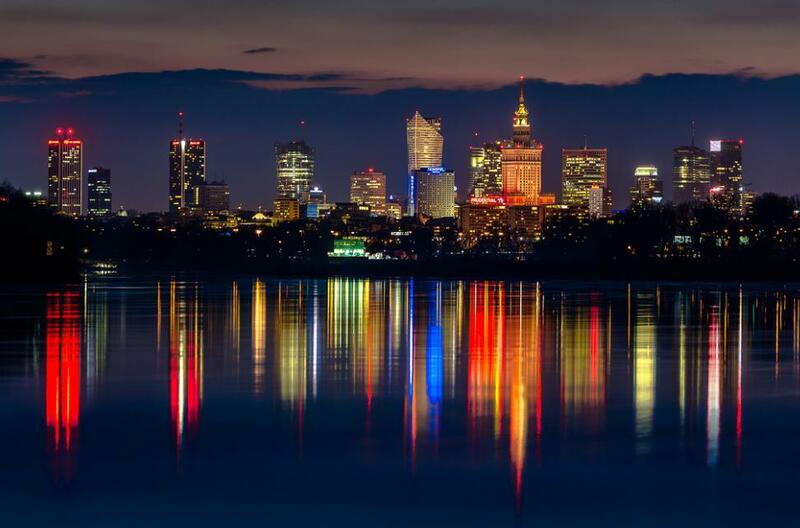 Where can I take the photos of Warsaw Skyline at night? I know that this is taken somewhere from across Vistula river. But can you tell me from which location I should try? Looking at the buildings - to have the Novotel (blue-lit building) to the left of the Palace of Culture, and in front of the big pointy building (I don't know what that is! ), it would need to be taken almost due east of that group of buildings - putting it on the beach just north of Most Łazienkowski. Not the answer you're looking for? Browse other questions tagged photography nightlife warsaw or ask your own question. What publicly accessible tall structures to take photos from exist in London? What are the exact restrictions on night time Eiffel Tower photos? Can't find accommodation in Mantova, Italy. Where can I spend the night? Where can I attend a fight night club in Manhattan? Backup photos to the cloud while traveling?